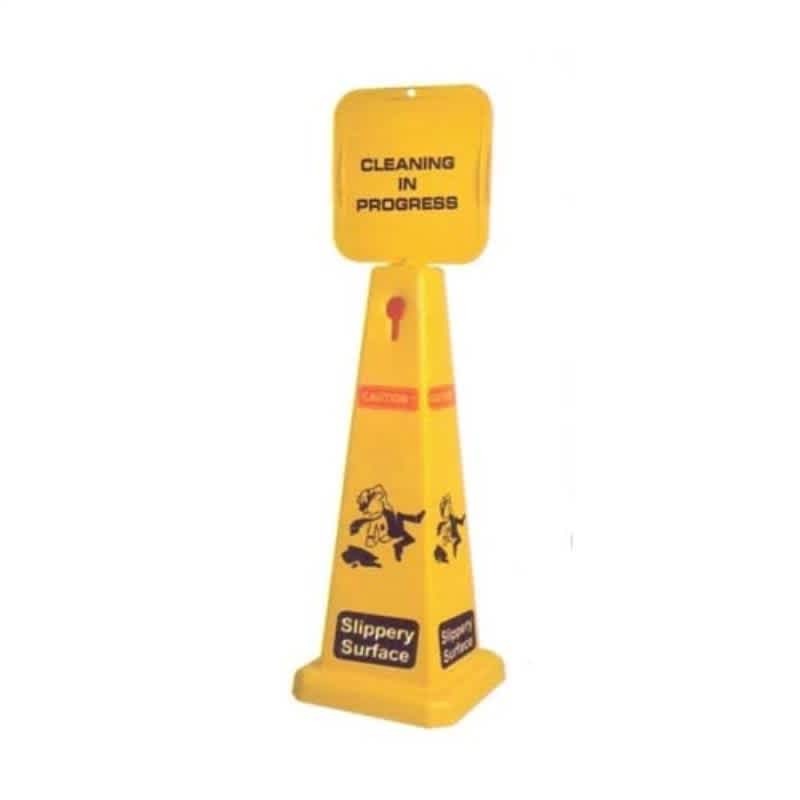 Brand: Road Star/Bellstone Color: Yellow Four Sided Message Cone with safety signsWe have developed a new line of products which enable operators to follow the latest safety rules and prevent accidents at work. Wholly in plastic, these signs are light and strong at the same time; they are handy, easy to use and robust, and can easily moved around. If placed outside, they resist wind blows.